Genkan Connects to Airbnb !! 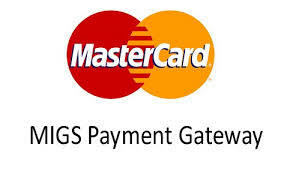 No matter where you are in the world today Genkan can integrate with a credit card payment gateway that allows your clients to book and pay with total security and in most cases without the requirement for an intermediary gateway providor. Allowing your guests to book their holidays end-to-end online sets you apart from other holiday rental owners in your local area (or in many cases, brings you current with your competition). Open yourself up to a wider audience of guests who are accustomed to shopping and transacting online, and give them an easy buying experience like the one they have with a hotel. Accept holiday rental payments online through your rental listing partner. Spending less time on transactions will give you more time for marketing your holiday rentals. PCI compliant and no extra PCI charges. • Full integration with Genkan means that your guests enter their card details directly into the booking form rather than being redirected off to third party payment pages. • Enter card payments taken over the phone directly into Genkan. • Process balance payments using the same card without having to communicate with your guest. • Automatically hold and release pre-authorised security deposits. To Build and develop the worlds best tools for Holiday Rental property Management. All in one product that minimises the requirements of staffing levels . genkan is a totally new approach to holiday rental property management in the UK and across Europe with online bookings for Property Estate Agents and Managers in the business of Short Term Holiday Rentals Property Management. GENKAN 玄関 is the Japanese word for the place just inside a traditional Japanese house where you would leave your shoes before you open the door to the main house. GENKAN too will open many doors, to find out how, call our sales team for a unique demonstration that will change your business forever.